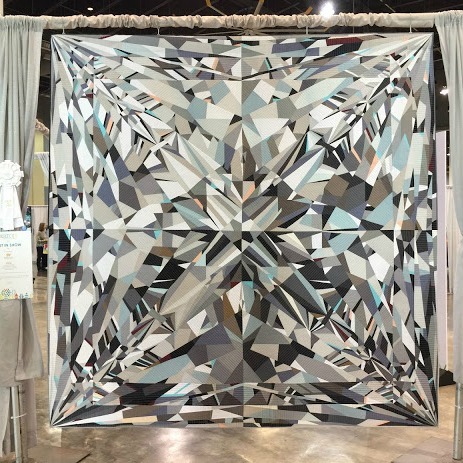 What is QuiltCon all about? There are classes, workshops, lectures, demos, quilts, vendors, fabric, and many opportunities to volunteer and get involved. 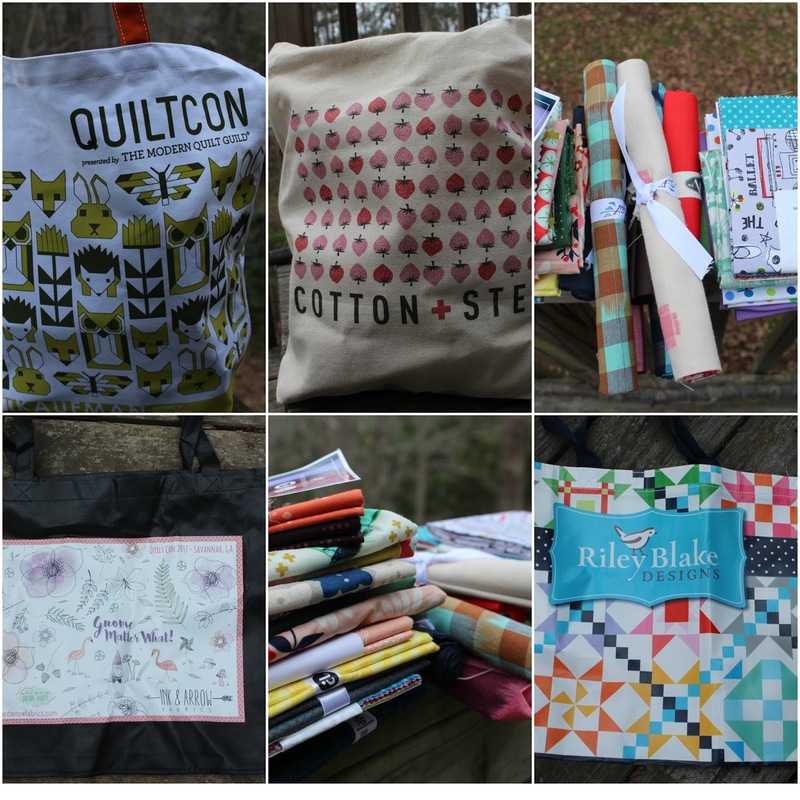 If you every have the opportunity to attend Quilt Con, GO!! There is so much about the experience that I want to share - this could be a very long post! Much of the action took place in a set of classrooms as well as the large event floor which opened at 10 am each day (Thursday through Sunday). Each morning. there was always a large crowd of quilters ready to charge the floor the moment the gate opened. Some were there with only small amounts of spare time before their class or lecture and wanted to use every spare minute to see the quilts or visit the vendors. Others were there for the swag. (Swag = free stuff). Cotton and Steel handed out bags with fabric inside, Aurifil ran a jigsaw puzzle completion competition with thread as a prize. Many other booths had you spin a wheel for a chance to win fabric. On day one, I was there in the crowd at the door to see the quilts. 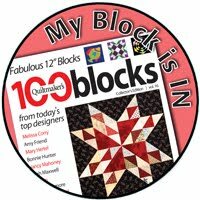 When the gates opened, I noticed a group of women running towards Cotton and Steel and I did what any other quilter would do, I followed them! It was such fun and I enabled some friends on other mornings by taking them on that morning run. It was fun to collect fabric and bags and stuff! 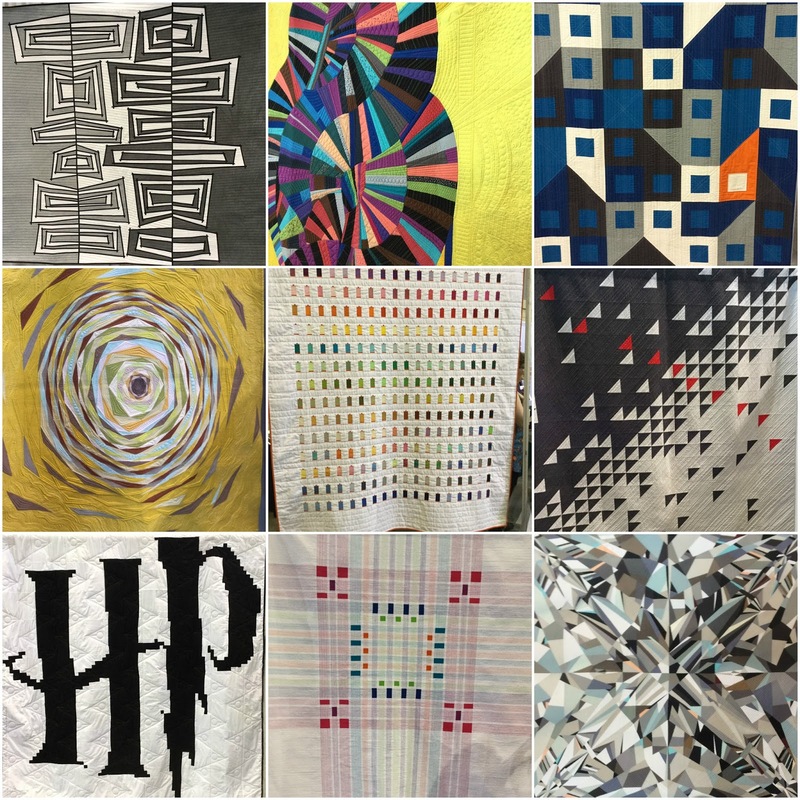 The quilts that follow are just a small subset of the awesomeness that was at the show. I walked the floor several times, often retracing my steps and discovering a quilt I had missed the first time. The quilt in the bottom corner by Katherine Jones won Best of Show. The quilt is called Bling and is paper pieced. She said it took 160 hours just to put together the quilt top. This photo doesn't really do it justice. 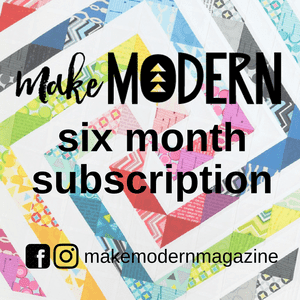 You can hear more about this quilt from Katherine (Kat) herself in this special podcast episode from Abby Glassenberg. Two of these quilts pictured in the collages above are made by people that I am lucky enough to have as a friend. I am so proud of them - both of these quilts won ribbons. Mustard by Paige and Birds in the Air by Frances. 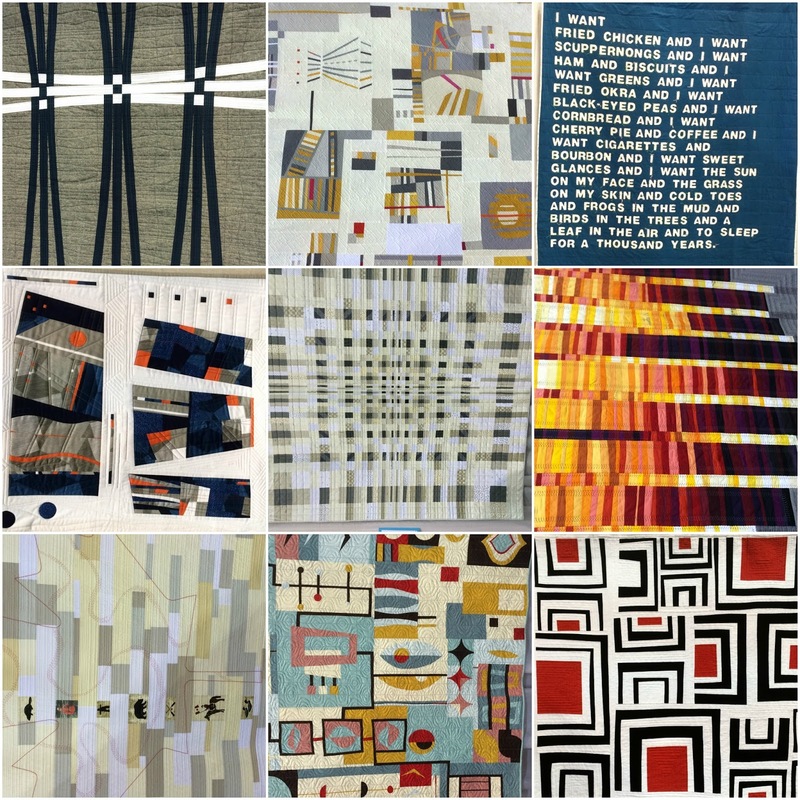 Modern quilt guilds were invited to make a charity quilt for display at the event using a specific color palette with a focus on scale. I was excited to see our quilt from the Triangle MQG hanging at the show. It was great fun to bump into guild members at the show. We easily had twenty people at the event from the Raleigh area! My favorite part about the event was actually the opportunity to volunteer and I did several 4 hour shifts. I had the opportunity to work registration on Wednesday and met a lot of people that day. However, the most fun volunteer shift was sitting at the floor entrance to make sure people had their badges / tickets. Quilters seem to be an honest bunch so there wasn't much to do other than answer questions. It was, however, a perfect spot to see some of the greats in the industry. And, yes, I did the fan-girl bit and asked them for selfies. Everyone was gracious and wonderful. Here are just some of the selfies I collected. If you've ever the opportunity to attend QuiltCon, go and schedule some time to volunteer. It is a great way to meet people. Sadly, I didn't take any time (other than walking to dinner) to see the beautiful city of Savannah. 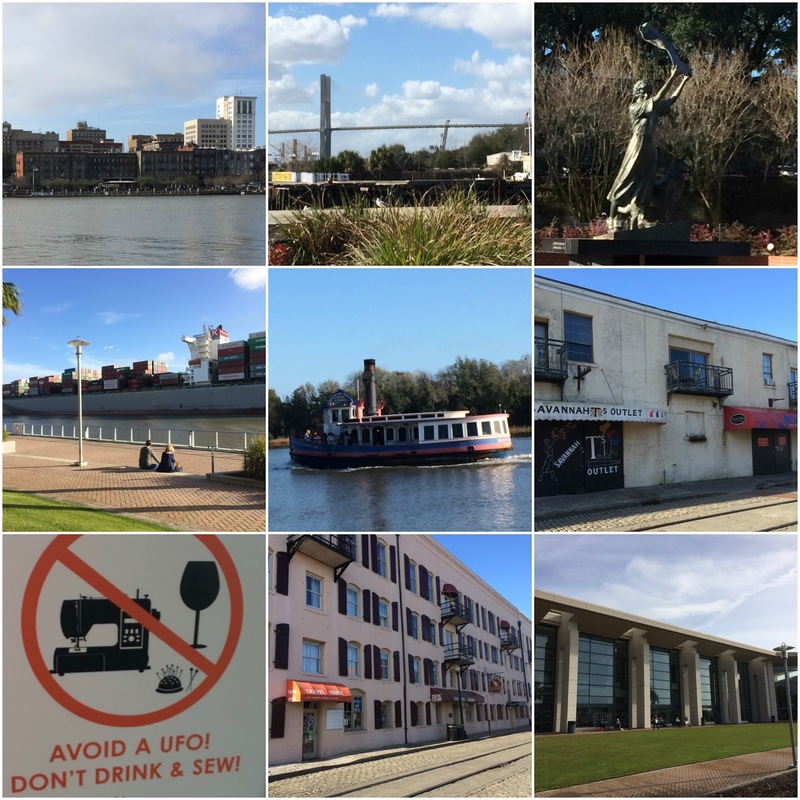 Here are some photos at the convention center or near my hotel. I took a ferry every day to the convention center (center photo). It was a short 3 minute ride and lots of fun. It was sad to leave the event and head home. My heart was full with wonderful memories and my car was filled with conference swag. 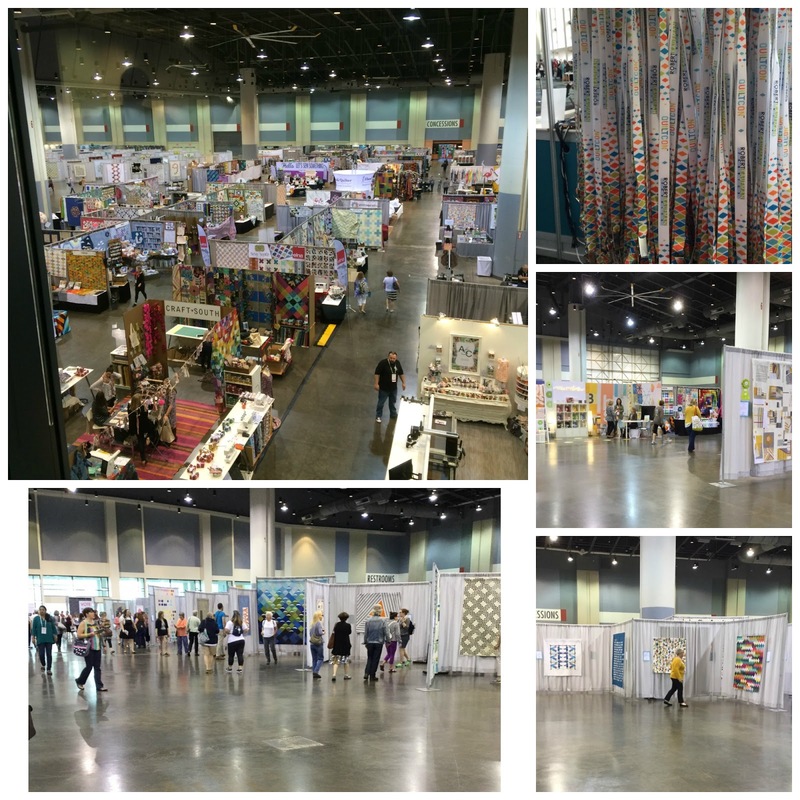 Thanks for the walk through of Quiltcon! Maybe I'll get to attend one year. If not, I'll continue to enjoy write ups like yours! Wow! You had quite the experience. So many quilts, classes and people to meet. It must have been a blast. Hi Patty: This is a great post and I laughed when I saw you in all the photos at the bottom of the post because of course I saw you there lots and lots but I didn't know it was you. I also had a wonderful time and quilt con and I'm hoping I can make it to Nashville. 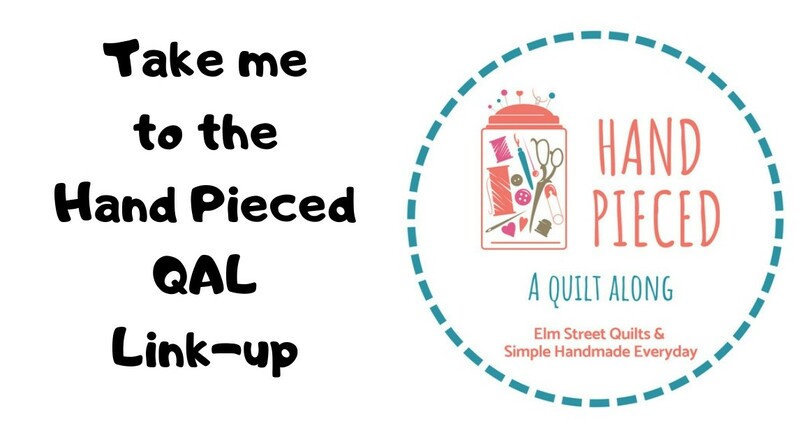 Patty, loved your take on QuiltCon! Thanks for including Mustard Stain in the line up. The selfie is a differnt story...You look so cute, I'm a goof ball! So great to spend time with you in Savannah! It was such a pleasure to meet you in person and "work" along side you. I'm so glad you had a wonderful time and I, too, did not get nearly enough time out to enjoy Savannah. Looks like you had a great time! love the selfies!! Looks like so much fun! 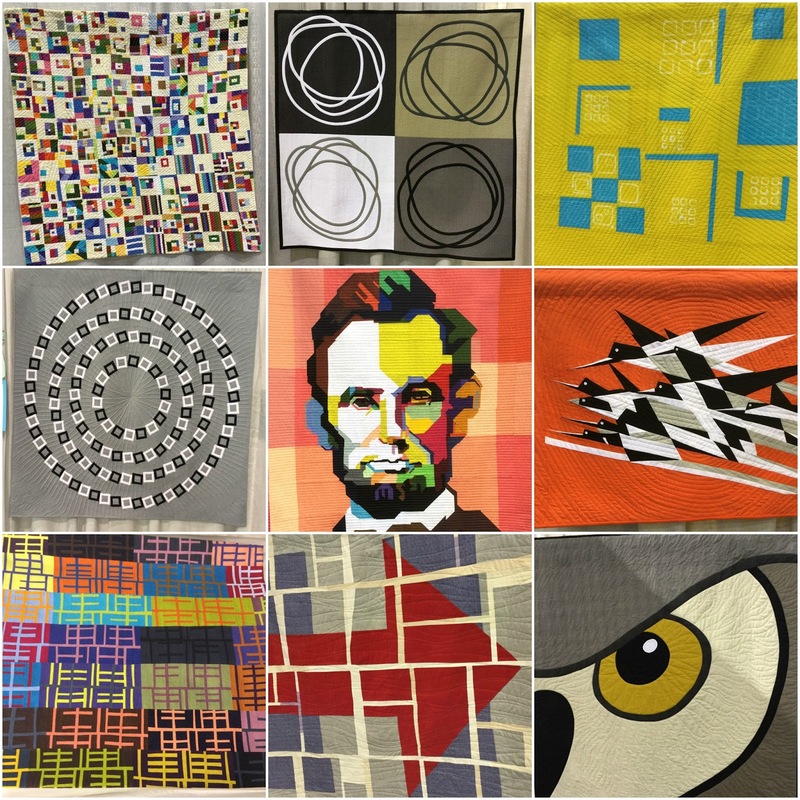 Thank you for sharing pictures of the quilts--so much talent. Thanks for sharing your experience of QuiltCon and, of course, some lovely quilts. It is great being able to read about it as sadly we have nothing similar in the UK. Beautiful quilts! The grand prize winner is really spectacular. Thanks for sharing the fun and the photos. 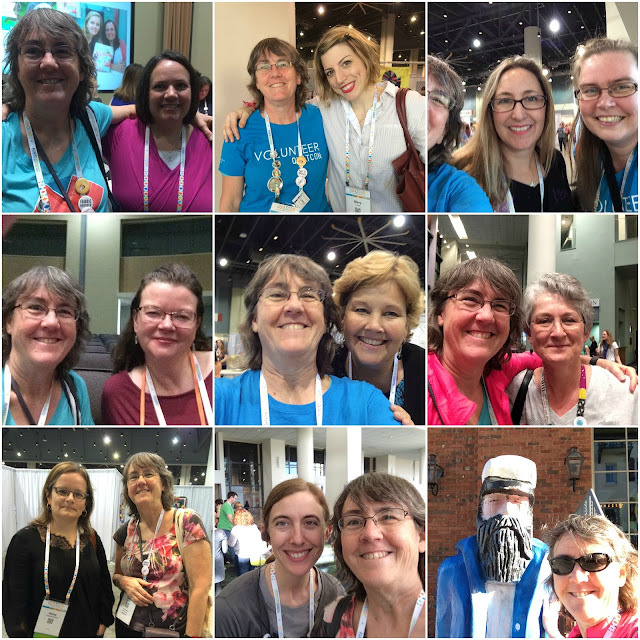 I enjoyed reading your reflections on QuiltCon and seeing the photos you collected of people and quilts. Thanks for including my quilt! It is such a treat to spend a few days immersed in all that creativity. Thanks, too, for volunteering your time to help make the event such a success! This is a lovely overview of the show! I wasn't able to contain myself like this though. :-0 :-) I'm finding I need several posts to cover it all!